Razer, a world leader in connected devices and software for gamers, today announced the world's most advanced gaming mouse, the new Razer Mamba. The successor to one of the leading wired/wireless gaming mouse, the new Razer Mamba is powered by the world's most precise gaming mouse sensor, the revolutionary Adjustable Click Force Technology, and industry leading gaming grade wired/wireless technology. The new 5G laser sensor is capable of tracking up to 16,000 DPI which is optimized for multi-display set-ups with ultra-high display resolutions. The 5G laser sensor is also the world's most precise -- with its ability to track up to 1 DPI increments (as opposed to the current industry standard of 50 DPI increments). The next generation gaming mouse sensor is also able to track lift-off cut-off distance as precise as 0.1 mm, reducing on-screen jitter so your aim stays on target even as you move. The 5G laser sensor in the new Razer Mamba was designed to be an extension of your natural hand movement. Razer's latest gaming mouse also features the patent pending, revolutionary Adjustable Click Force Technology. 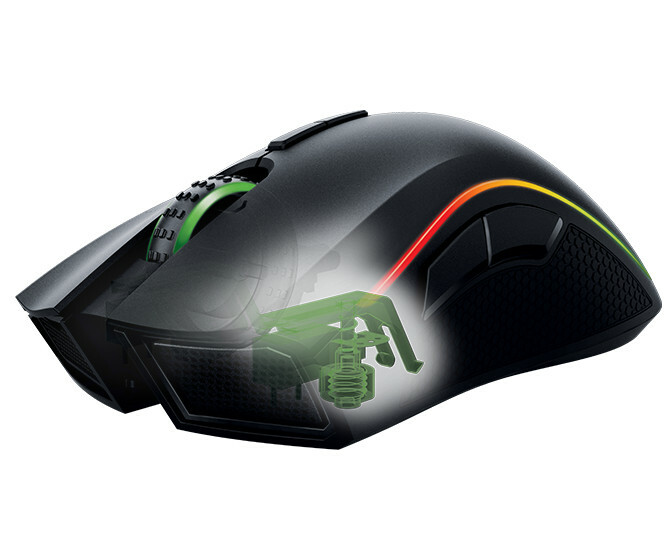 One of the most important facets of a gaming mouse is the click force -- and in the past, gamers have had to adapt to a mouse's click force or be compelled to search through a multitude of mice and switches to find the perfect mouse button click force. With the new Adjustable Click Force Technology, instead of having to adapt to a mouse's set click force, this revolutionary feature allows gamers to freely adjust the level of click force needed to activate the left and right mouse buttons, from distinct clicks for high accuracy actions such as sniping in FPS games to lighter presses for rapid fire action needed for MOBA games. The Razer Mamba's Adjustable Click Force Technology is capable of up to 504° turn, providing users with a total of 14 distinct choices to set their signature click feel for a more personalized gameplay. 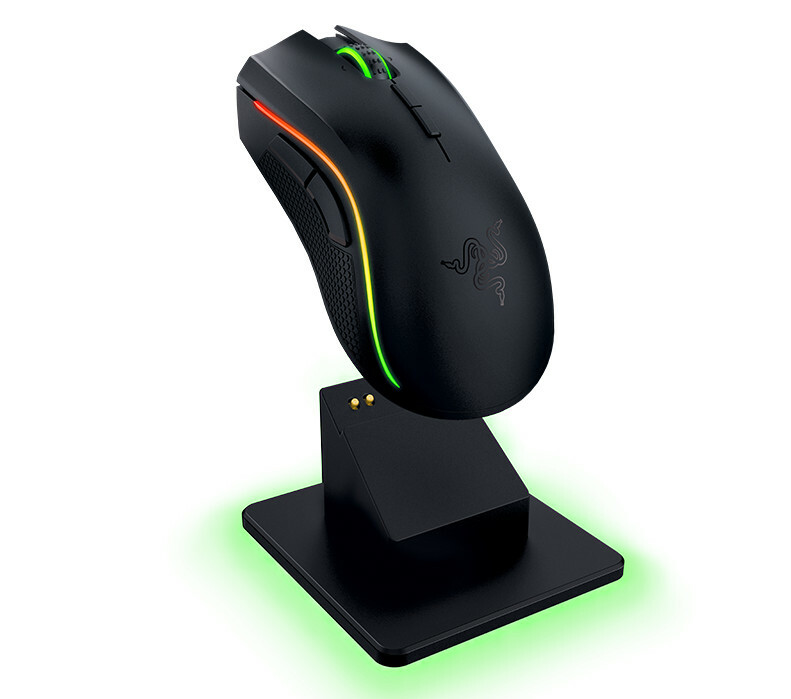 "The original Razer Mamba was launched six years ago and, even today, is the gold standard for a wireless gaming grade mouse," says Min-Liang Tan, Razer co-founder and CEO. 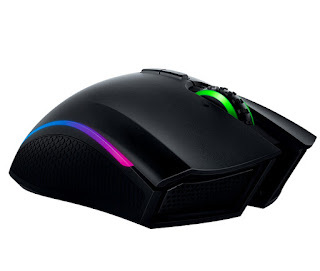 "Our enhancements to the Razer Mamba with the most precise laser sensor and the revolutionary Adjustable Click Force Technology, together with the industry leading gaming grade wired/wireless technology, leave us ahead of the curve when it comes to gaming mice." Also launching today is the Razer Mamba Tournament Edition wired gaming mouse, specifically designed for eSports athletes. Featuring the same precise gaming mouse sensor, ergonomic form factor, and advanced Chroma customizable lighting as the wireless Razer Mamba, the Razer Mamba Tournament Edition embodies the absolute best elements an eSports athlete needs to dominate in any tournament. Both new mice join the Razer Chroma line of devices, which includes an array of mice, keyboards and a headset. Each Chroma enabled product comes with the option of 16.8 million customizable colors and a range of effects through Razer's cloud-based hardware configurator, Razer Synapse. Razer Synapse also allows the Razer Mamba and Razer Mamba TE to sync lighting colors and effects with other Chroma enabled devices. Additionally, the publicly available Razer Chroma SDK allows game developers worldwide to directly interact with Chroma enabled devices, displaying lighting effects directly on the peripherals for a more immersive experience to gameplay. Approximate weight: 125 g / 0.27 lbs.